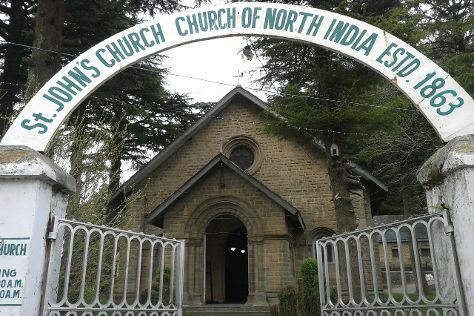 Start off your visit on the 1st (Wed): make a trip to The Mall, then take in the awesome beauty at Kufri Fun World, then take in the spiritual surroundings of Jakhu Temple, and finally take in the architecture and atmosphere at Christ Church. To find traveler tips, more things to do, maps, and tourist information, refer to the Shimla trip maker site . Chandigarh to Shimla is an approximately 2-hour bus ride. You can also drive. Wrap up your sightseeing on the 2nd (Thu) to allow time to drive to Manali. Start off your visit on the 2nd (Thu): contemplate in the serene atmosphere at Hidimba Devi Temple, then indulge in some personalized pampering at some of the best spas, and then contemplate the waterfront views at Beas River. On your second day here, identify plant and animal life at Rani Nallah, then cruise along Rohtang Pass, and then contemplate in the serene atmosphere at Himalaya Nyingmapa Buddhist Temple. To see where to stay, ratings, and other tourist information, go to the Manali route builder tool . Traveling by car from Shimla to Manali takes 4.5 hours. Alternatively, you can take a bus. Wrap up your sightseeing on the 4th (Sat) to allow time to drive to Dalhousie. Start off your visit on the 4th (Sat): steep yourself in history at Subhash Baoli. For more things to do, other places to visit, maps, and tourist information, use the Dalhousie trip itinerary maker site . Getting from Manali to Dalhousie by car takes about 7 hours. Other options: take a bus. Cap off your sightseeing on the 5th (Sun) early enough to go by car back home.